Caribou Coffee offers a café experience with excellence given the highest priority. The company provides an assortment of custom-blend coffee, teas, sandwiches, snacks, and other merchandise. After a trip to Alaska in the 90’s, John Puckett decided to start a coffee company. He moved to Minnesota and secured a spot in the Minneapolis suburbs, where he opened the first store in Edina, Minnesota, in December 1992. In 2016, the company announced to offer only Clean Label products, which removed all artificial flavors and ingredients. It currently holds around 400 branches nationwide and 200 branches internationally. Extensive benefits packages and incentives are offered depending on the performance of team members. These include medical packages, paid time off programs, a 401(k) plan, tuition assistance, and more. The fast-paced rhythm at the company provides a good work environment for all team members. The management addresses all concerns with ease, and optimizes firsthand learning of techniques in the food and beverage industry. How old do you have to be to work at Caribou Coffee? In pursuit of diversity for the company, there are positions for different age brackets, starting at 16 years old. Caribou Coffee caters to part-timers, full-timers, high school students, university students, and others. The multitude of careers available provides options for applicants to determine which path they intend to pursue. The company is looking for individuals with the skillsets required to constantly improve service. Each role is significant to the company and serves a specific function and responsibility necessary for the growth of the store. Team Member: Team Members are the first people who warmly welcome customers and introduce them to the store upon their arrival. They receive and prepare orders quickly, deliver food and products with urgency, and provide the excellence that Caribou Coffee is known for. Baker: Bakers cooperate with team members to meet baked goods’ expectations from the customers. They are tasked with the inventory of products, baking procedures, and being flexible with the demands and new directives of the store. They also improve and develop possible goods and products. On Demand Driver: The duty of On Demand Drivers is to deliver bagels and baked goods quickly, responsibly, and seamlessly. They are aware and proactive about all state and federal driving regulations, and are flexible to different tasks at hand. On Demand Drivers also make sure to update the team members about their progress regularly. Catering Driver: Catering Drivers must deliver food items efficiently, usually during the early hours of 2AM to 5AM. They ensure that the products reach their restaurant destinations, and that all regulations on the road are observed. They ensure that restaurants are stocked and satisfied with the goods from the store. Shift Leader: Educating and training team members are the main responsibilities of shift leaders. They monitor and supervise the hours of work of team members. They also work in tandem with general managers to attain short-term and long-term sales goals for the store while providing excellent customer service. Assistant Manager: Assistant Managers multitask between guiding, mentoring and advising team members, and monitoring sales growth, costs, and inventory. They keep track of the stores’ progress and maintain the work flow of the stores. They are the right-hands of General Managers in ensuring the efficiency and quality of service and goods delivered. General Manager: Leading the store and its team members are all up to the General Managers. They oversee all work flows and processes, monitor sales and inventory, and develop a synergistic relationship with team members. They also ensure that all concerns are addressed cooperatively, for the sustainability of the store. Service Desk Specialist: Desk Specialists innovate and collaborate within an administrative team to provide solutions to customer concerns real-time. Their knowledge in customer support and IT is applied in this environment to provide quality service to customers. They ensure the satisfaction of customers regarding their inquiries and improve customer support operations in the process. Creative Strategy Director: Marketing and increasing the presence for the company are the focal points of these Directors. They utilize effective branding in promoting campaigns and projects of the company, directed at gaining presence. They integrate and brainstorm ideas with the Brand and Creative Services teams to develop and execute annual marketing strategies, in line with the current digital trends. Principal Business Analyst: Business Analysts are key problem-solvers who bridge business users and the IT team. They engage in analysis of products and performance, project planning, operations optimization, et cetera. They also work together with the IT team to determine and solve issues encountered. 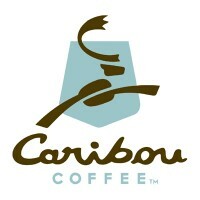 To apply for positions at Caribou Coffee, prepare a resume and a cover letter, and accomplish the application form. An interview process will also take place once the officers deem the application eligible. Interested applicants may apply and inquire onsite, but numerous online job postings for the company are also available upon signing in. After uploading your documents, kindly wait for the confirmation email for further details. When filling out the application form, remember to maintain honesty and integrity in your responses. The company wants to get to know you comprehensively, so ensure that your answers represent facts about yourself and your personality. For your resume, include all related achievements, recognitions, and other accolades you may have about the position. Also state your educational background, skillsets, and character references. Work and volunteer experiences which are also related to the position are given preference. The interview process ranges from one week to three weeks, depending on the store location. Questions also vary from highlighting your personality and creativity, to describing how well you manage issues and interact with others. Caribou Coffee’s corporate culture is defined as being fun, passionate, and unique. The company aligns its excellence with international standards. Its commitment-based core values aim to provide the community an excellent experience which surpasses customer expectations. The coffee company maintains a healthy relationship with businesses, suppliers, and consumers, as evidenced by its Rainforest Alliance Green Globe Award in 2007. The company awards suppliers, such as BakeCo in 2015, for its top-class service. The company takes pride in being one of the country’s most innovative and creative coffeehouses. Aside from being the first to offer only Clean Label products, it also adopts the latest coffee technologies, such as the Nitro Cold Brew. Social responsibility is one of the key factors in the company’s sustainability. The Rainforest Alliance certification ensures that the coffee produced is backed by conservation measures, and local farm and community support. 1 How old do you have to be to work at Caribou Coffee?